A&A Corvette has now partnered with AFFIRM to offer Interest Free Financing! 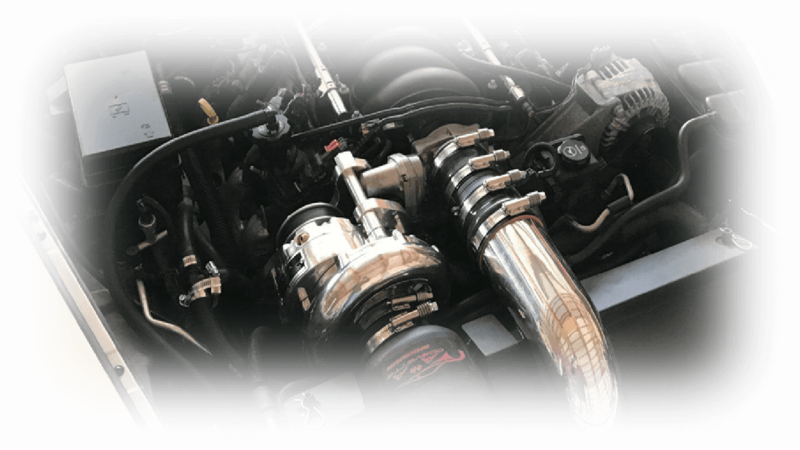 Our proprietary supercharger units are built specifically for A&A Corvette by Vortech Engineering. A&A continues as the leader in intercooler design with airflow management as a priority. Our tensioner design once again stands out from the crowd. Each solid billet tensioner starts out as 9.6 pounds of 6061 aluminum bar, has 3 internal spring pressure settings and is adjustable to accommodate larger balancer pulleys. Our C7 bracket uses solid billet mounts that attach the main bracket to the block and the cylinder head. Our cylinder head mount has FOUR mounting points. Others use a simple dowel with a long bolt or a threaded rod going through the middle that can twist under extreme forces. Ours simply cannot move in any direction. We once again took the more expensive but superior option of having custom formed, reinforced silicone charge hoses manufactured. The custom silicone hoses navigate around the various obstacles in the C7 engine bay and make installation much easier. We design, build and thoroughly test the full line of A&A Supercharger systems and related components in our Southern California facility. We offer systems for C5, C6 and C7 Corvettes exclusively. From 600 horsepower emissions compliant daily drivers to 1200 horsepower drag race cars and everything in between, we stock the right components to get the job done! 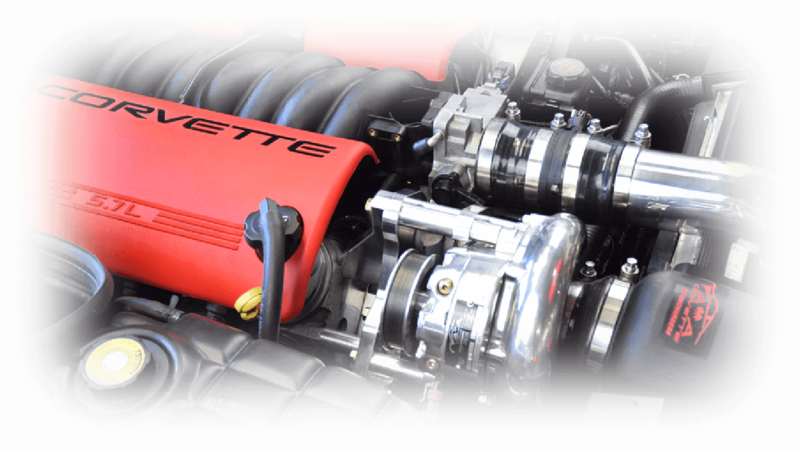 We are the Vortech Authorized Manufacturer of supercharger systems for late model Corvettes. Our proprietary supercharger head units are built specifically for us by Vortech Engineering and are available only from A&A or one of our 200 plus dealers in the US and Europe. 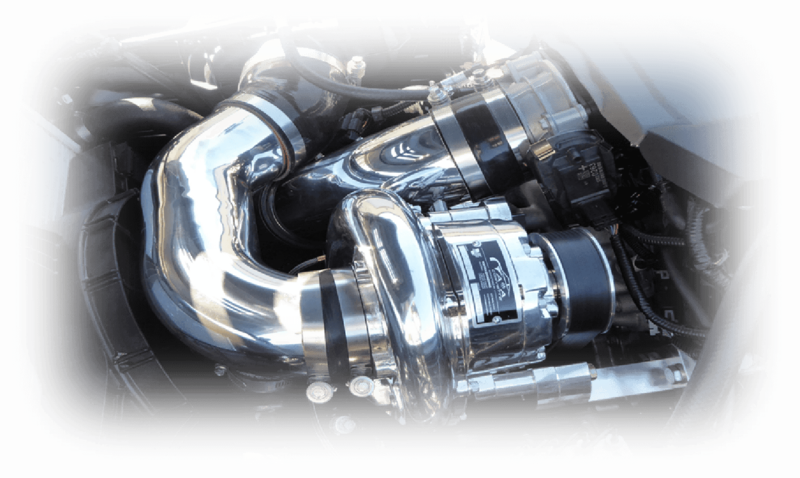 A&A offers the only centrifugal systems available in 50 State Legal trim for all models of Corvette from 1997 through 2016 (excluding ZR1 and C7 Z06). We’ve made some important improvements for 2016 so please browse through the section pertaining to your particular vehicle and learn more about what we have to offer and why A&A beats the competition at every turn! We will try to show you each part in as much detail as possible and how they integrate into a complete system. From our innovative RAM AIR INTERCOOLER design to our amazingly strong bracketry with ADJUSTABLE BILLET TENSIONER, A&A has the technology others just can’t compete with. CHECK OUT OUR COMPETITORS- PLEASE Compare this site with our competitor’s sites. You’ll get one or two generic pictures that don’t show any components in detail and a lot of bragging. As they say, a picture is worth a thousand words. If you’re shopping for a supercharger system and the manufacturer won’t show you what they are offering in detail, maybe you are looking in the wrong place. We want you to look closely at the components used and the overall system. We feel that the closer you look, the clearer your choice will become. With over 3000 A&A systems on the road we’ve become the most popular supercharger choice for late model Corvettes. The fit, finish and quality of components used are second to none. This commitment to aesthetics carries forward with the same commitment to function. We are continually analyzing how any part of the system could potentially be improved and have implemented these improvements. It is through this never-ending desire to offer the best system available that it has evolved into just that. Our kits come 100% complete with nothing else required to complete your install apart from ECM tuning. (C.A.R.B. compliant kits require our tune) We even include the proper spark plugs! WE ALSO STOCK EVERYTHING YOU’LL NEED FOR YOUR CUSTOM BUILD! Please browse through our site and see for yourself what makes us the right choice no matter what your horsepower goals.